Using Snapchat camera to take videos and send them as Snaps or posting them as stories is cool, but sometimes people want to upload exciting videos from their camera rolls. In this article I will tell you how to upload videos directly from your camera roll to Snapchat stories. You can even send videos from your camera roll to your friends as Snaps. 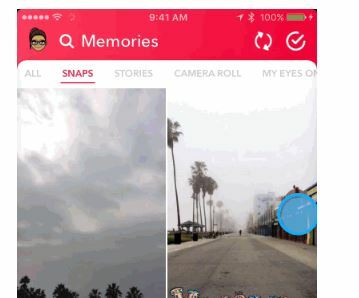 Snapchat memories is the best way to upload videos directly from camera roll to Snapchat stories. Launch camera screen and swipe to left to open Memories. You can also open Memories by tapping on the circle beneath the Capture button. On top of the memories tab, use the “Camera Roll” option. This option will give you access to photos and videos saved in your camera roll. 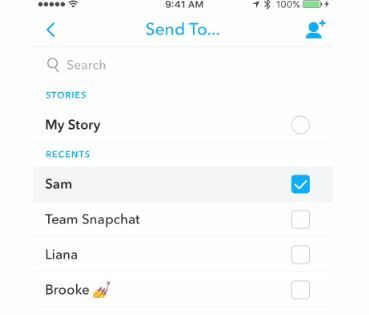 Snapchat will ask your permission to access stuff in your camera roll. Select any video or photo you want to upload as a story. Tap Edit & Send at the bottom of the screen. Now tap the blue send button to send the video to your friends or upload it to your stories. Or if you want to create a story and add this video to your story, just tap the menu icon in the top right corner while in editing mode and select “Create Story from this Photo/Video”. You can select multiple videos and photos now. All these videos will be pushed in the Memories tab. You can publish these videos as stories by going to the memories tab and long-pressing these videos. However, it’s important to note that you cannot upload videos from camera roll that are longer than 10 seconds.